Ongoing deal, never expires. Last validated 3wk ago . Used 3 times. David This deal works as described. 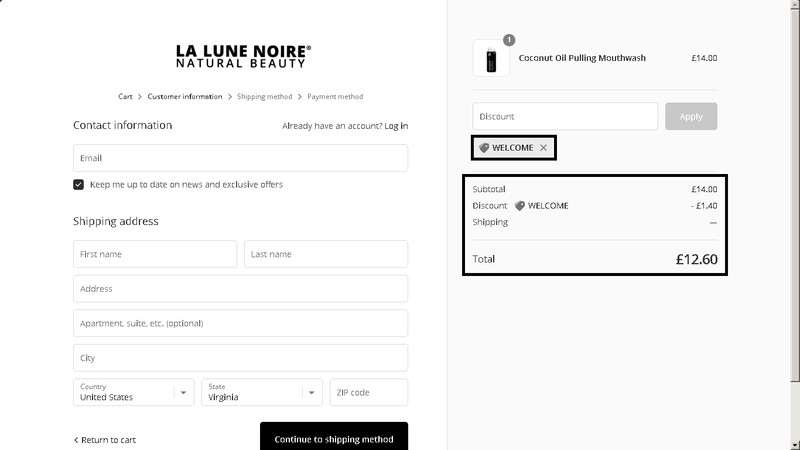 Go to the web site, add your item to cart, proceed to checkout, enter promo code <WELCOME> and get 10% off your next order at La Lune Noire. Eduardo martinez This is an amazing deal that works as described. 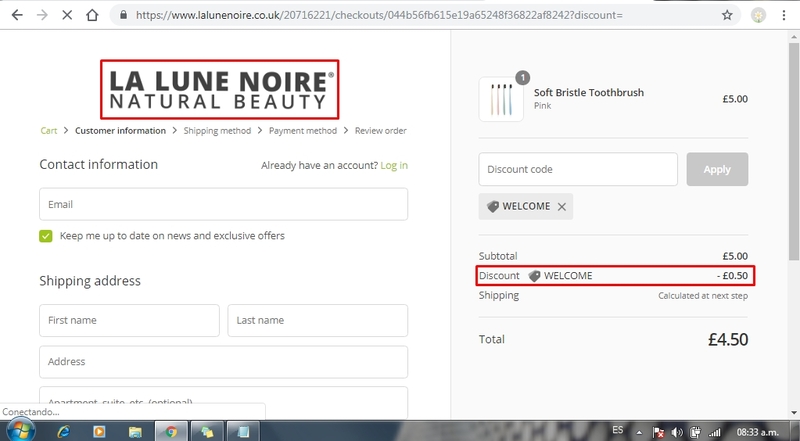 Enter the promo code into the code box and click apply to get this discount. Jisell Ortiz I am validating that this deal works as described. 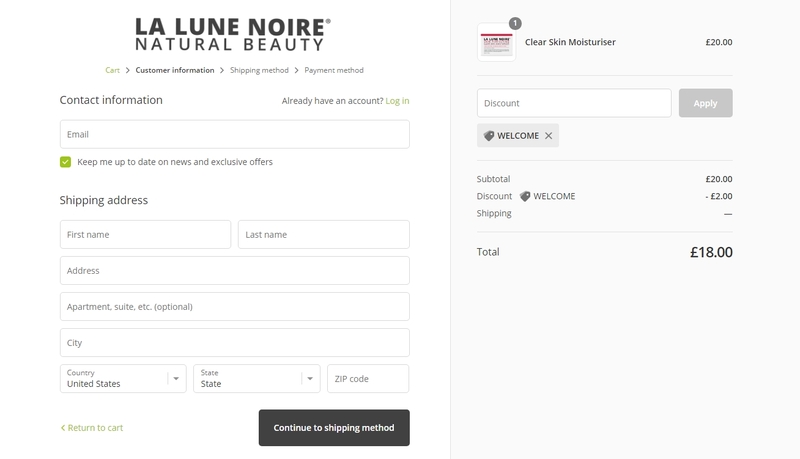 Enter code and Get 10% Off Your Order at La Lune Noire (Site-Wide). This is a limited time offer.